Every time I go home and spend time with my sisters, we make a trip to Good Will. We love thrift shopping! 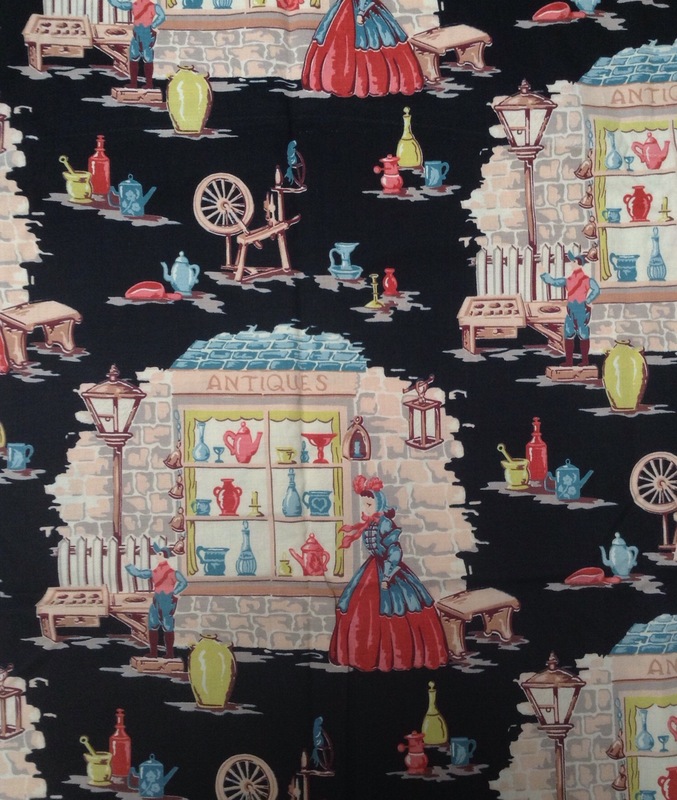 Here are some vintage fabrics I found there last week. I love this border print! This one looks like it could have been purchased in any online modern quilt shop today! 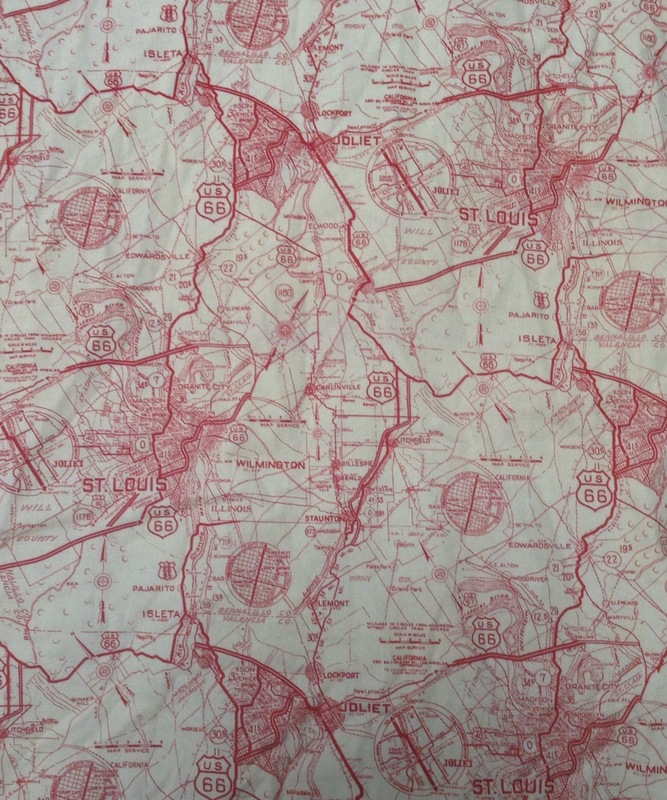 I love map prints, even if I am not from Illinois! And this vintage antique shop print was just too fun to leave behind. 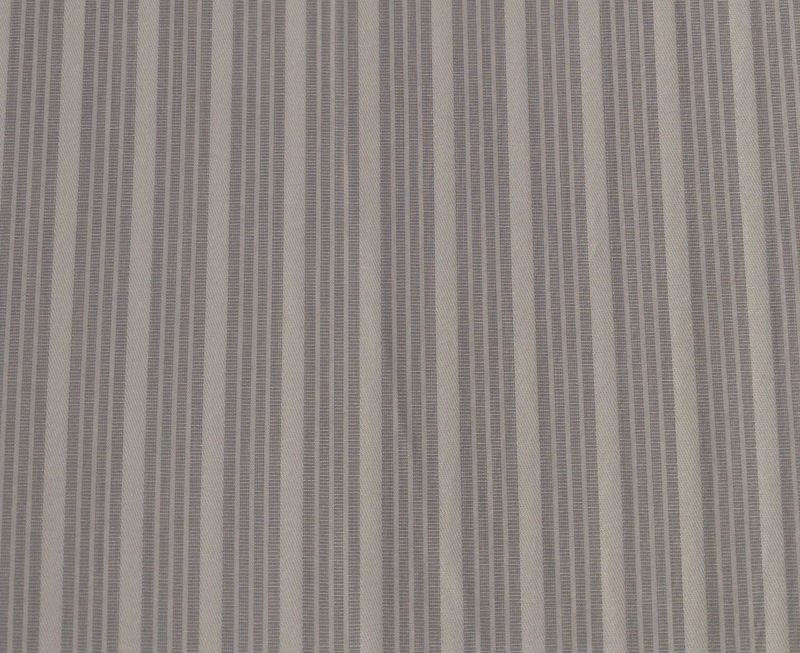 This strip will be the perfect backing fabric for the shirting quilt I am making for Baby E.
You just never know what you will find. I am not sure what I will use most of these for yet, but sooner or later, they always get used. The backing fabric for Baby E’s dino quilt came from this same thrift shop a few years ago. Have you ever bought quilting fabric at a thrift store? 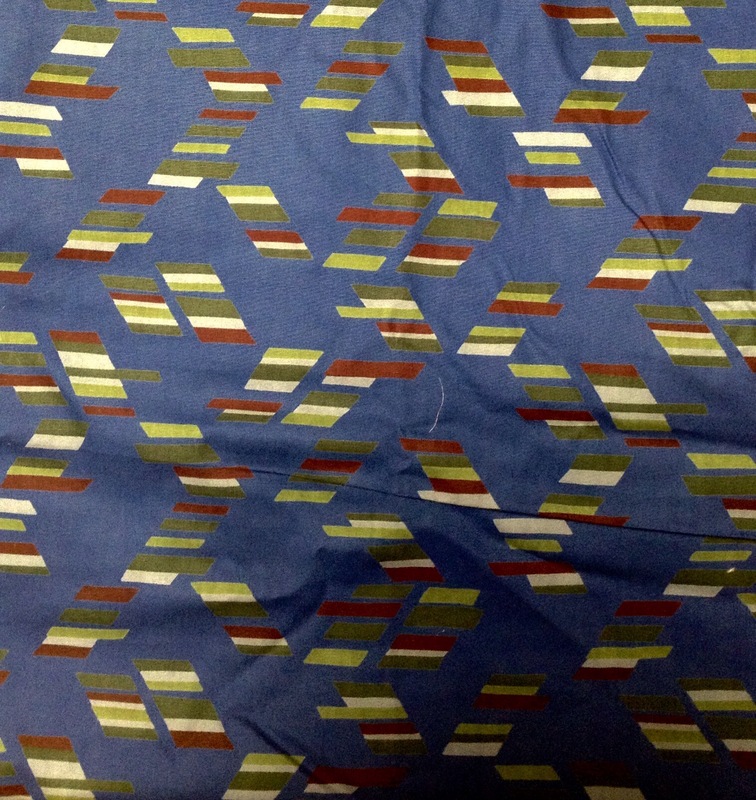 This entry was posted in Thrifting, Uncategorized, Vintage Fabrics. Bookmark the permalink. I really love that little border print at the start. Your Goodwills have much more interesting things than mine! I’ve bought one great picture for my older son at one of them, and lots of plaid shirts for quilting, but that’s about it. You really scored! My thrift shops don’t have much for fabric in my area. I love the girls in the raincoats. So cute!! Aren’t they fun? I just love the girl with the newspaper! I love treasure hunting! You have some dandy scores there, especially the girl with the newspaper! I don’t think I’ve ever looked for fabric at a thrift shop. What a neat idea and great finds! 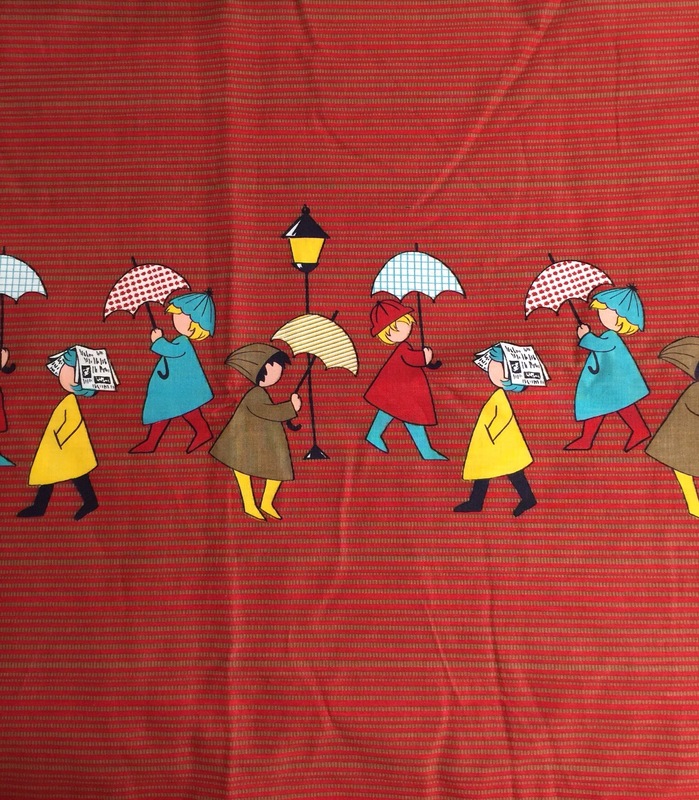 I especially like the rainy day fabric. Do you have any tips for checking fabric content? Wow…what a great purchase. I’ve never thought to look for fabric at thrift stores. Something to think about. Once in awhile I’ll find something good – you have some treasures there! Yes, I have found lots of fabric at thrift stores. I go to two stores up in the mountains in Oakhurst by Yosemite, one has lots of fabric that has been donated, I have to limit how much I get at each visit. The other has flat queen size sheets for $4. I get lots of quilt backs out of those sheets. I just love how soft the backings are when I use the sheets. They sell the top and bottom sheet separately so I just get the top sheet. Yes I did ! Every summer, when I’m vsiting my parents in Provence, I go into a thrift fabrics store to find out some beauties !! Yours are sooo cute ! What fabulous finds! I never thought to look for fabric at a thrift store. I guess my biggest concern is whether it’d be 100% cotton or not. Oh my! what wonderful wonderful novelty fabrics!!! jealous! I have to keep an eye out. I did find a good piece at a tag sale. Garage sales or church rummage sales are were I usually find quilt fabric and sometimes people give me fabric! If you want to make quilts, there are many ways to acquire fabric at a nominal cost.